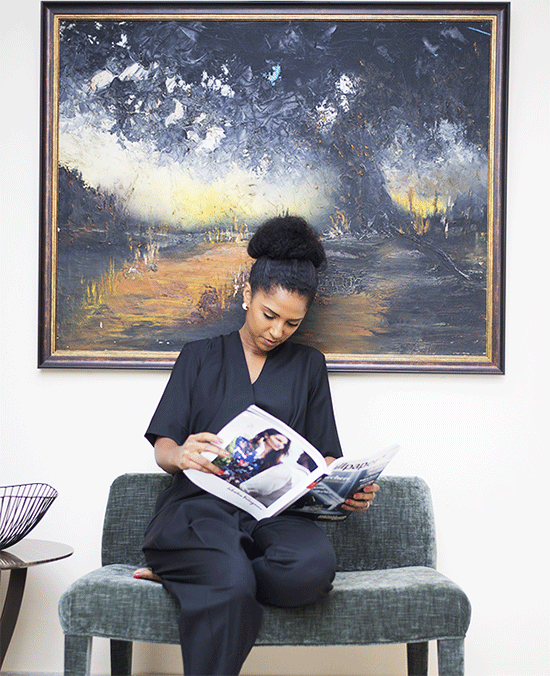 Hana Omilani of Eritrean ancestry is a life long patron of the arts, based in Lagos Nigeria she is the founder of Lasmara, an African art consultancy firm. As a feature in Visual Collaborative’s “Polaris” interview series, she shares an astute perspective on the African art industry, it’s disparities and a progressive vision bridging gaps through her firm. You specialize in African art and stand in the vanguard promoting the uniqueness of the field through your company Lasmara. But many emerging experts or competitors would say that there is a great disparity in African art because of the different regions. What are your thoughts on this? (Hana) That is a very high compliment indeed! Surely disparity in the creative industry is a very good thing. There is indeed great disparity in African art. But it is a positive and valuable disparity. I suppose you could call it the disparity of diversity. This diverse disparity expresses itself not only in the different regions as you pointed out but also in the incredible variety of distinct yet connected cultures, languages and traditions across the continent. So, for me, the rich variety of inter-twined cultures is part of what makes the African continent and the art that emanates from it’s people so rich and fascinating. African art therefore is a wide and expansive term that encompasses many distinct and diverse forms and types of artistic expression. The word curator has been overused by many art connoisseurs. And this has opened the gate to different culture vultures through partnerships and even with local African foundations. There are many unassuming artists who get preyed upon similar to how African art was taken during colonial times. How can one remedy this on the continent that still lacks transparency? (Hana) Historically there has been an unbalanced relationship between African artists and the various institutional organs of the international art community or market. As you alluded to, most of the knowledge, information and financial support was on one side only. This type of asymmetrical power tends to lead to exploitative relationships and African artists are no exception. Having said that however, I believe that a process is now taking place where the home-grown African art scene is developing and maturing rapidly. Culture vultures still abound within and outside the continent but African artists are gradually acquiring the requisite knowledge and exposure to begin to redress this imbalance. Culture vultures still abound within and outside the continent but African artists are gradually acquiring the requisite knowledge and exposure to begin to redress this imbalance. At this stage of development, I believe that what is needed now is a more deliberate and systematic strategy at the national, regional and continental level to reinforce the organic development of art in Africa not just from the cultural perspective but also as an industry. The process is slow but in my view it is inexorable. With apologies to Gil Scott-Heron, the revolution may well not be televised but we are experiencing this change in our own lifetime. As an African woman who is well traveled and exposed to quite a lot, considerably privileged, what do you tell the aspiring young woman or entrepreneur about success and business risk? (Hana) I am proud to be an African woman in the 21st century. I feel privileged in the sense of having grown up exposed to different cultures but impaired by a constant sense of yearning for home. I am not alone, there are many others like me who have had the simultaneous fortune and misfortune to spend a significant number of their formative years culturally inside but physically outside their beloved continent Africa. One consolation is that our devoted and self-sacrificing parents tend to make sure that we get educated and that we carry some of the homeland with us wherever we settle or rest for a while. That kind of upbringing is very African and it is a special privilege. As regards to success and business risk, this African woman has only one, well actually I only have a few words to say to an aspiring young woman or entrepreneur concerning the art industry: Don’t be fooled by the glamour. Work hard, be patient, confident and do not compromise on your values or ideals. You are unlikely to have steady income flows so stick to your budget. Be stubborn, very stubborn about your principles. Learn Karate. Observing the rising despondency of political movements in different parts of West Africa and then recent developments in East Africa, as an African woman in the business of the arts, are you more critical about your own enterprise or more optimistic given the obvious brain-gain on the continent? (Hana) Optimistic without a doubt. The political and economic situation in different parts of Africa is not hopeless. After the physical and psychological two-way trauma of colonialism, we all know that the integration of African civilisations and cultures into the Westphalian Order of nation states has, to say the least, proved somewhat problematic. In this context, regrettable as it is, the constant drain of African talent and energy to the West is inevitable. But that is not the whole story. Africans at home and abroad are finding their voice and making their mark. I am very confident that the world is slowly coming to terms with the amazing talent, energy, creativity and ideas generated from Zanzibar to Algiers and Lagos to Kigali. Dynamic African entrepreneurs are popping up everywhere, establishing trends, exerting influence and changing the script. I believe that my Eritrean heritage is an inextricable part of me and what I do. The key values and modes of behaviour I have gained through my parents and family are consideration, compassion, loyalty, courtesy and respect for others. With a Yoruba last name you must be an honorable citizen by now. Lagos like most melting pots can be an interesting place to navigate. Does your name or Eritrean heritage help the work you are doing? (Hana) I love Lagos and its boundless energy! It is a veritable melting-pot of ideas, languages, cultures, religions, and people. 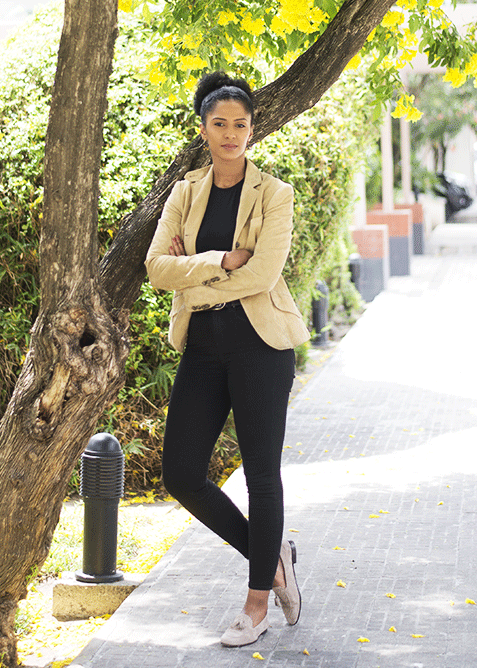 I believe that my Eritrean heritage is an inextricable part of me and what I do. The key values and modes of behaviour I have gained through my parents and family are consideration, compassion, loyalty, courtesy and respect for others. These qualities would stand anyone in good stead anywhere. I find that Lagosians are open and generous and very welcoming of foreigners in their midst. I am excited about learning more and more about Yoruba culture and many others. Apart from getting to know and understanding the local art scene better and better in width and depth, I am gradually working my way through dishes from the various regions. At this stage of your collective accomplishments, considering your present commitments If you can work alongside any curator, global personality or business enterprise. Who would it be and why? if you can time-warp back to any era what time period would it be and why? (Hana) The present age because it is so dysfunctional that we must be in some kind of time-warp and many of us are definitely stuck in the past. It is time to break out! However, if you insist I would go back to Ancient Egypt. It is an old and learned African Empire and culture that produced magnificent monuments and artworks. I also see it as the original birthplace of technology, which is a significant part of lives now. What kind of work can the world expect from Hana within the next 5 years? (Hana) The emergence of Lasmara as a truly global enterprise and brand centered around African artists, celebrating African culture and creativity and delivering high quality products and services while making excellent financial returns for investors.